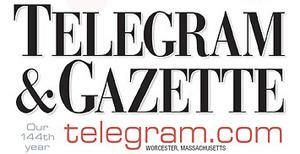 Thanks to the Worcester Telegram & Gazette for featuring our CitySquare project on the front page of the April 1 edition. Hopefully it wasn't an April Fool's prank! Costello is wrapping up work on this project, which will remove the last remnants of the former Worcester Common Outlets shopping mall to make way for the new Worcester CitySquare. In the cover photo, a massive pre-cast concrete skylight is being lowered to the ground. Follow the link below to see the photos and read the article.